It's made the headlines - New York's finest have been investigating Muslim Student Associations. Amazingly enough, people are upset about this investigation. Yale President Richard Levin was among a number of academics who condemned the effort in a statement Monday, while Rutgers University and leaders of student Muslim groups elsewhere called for investigations into the monitoring. "I am writing to state, in the strongest possible terms, that police surveillance based on religion, nationality, or peacefully expressed political opinions is antithetical to the values of Yale, the academic community, and the United States," Levin wrote. It's scary how in a post-9/11 world how willing some are to overlook potential jihadists in training. 3,000 Americans murdered, and there are still more out there waiting to murder more of us. 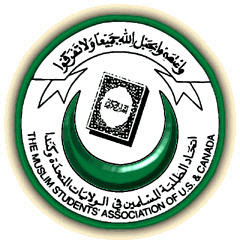 It's time to expose the Muslim Student Association across North America as a gateway to jihad. These are not just vocal anti-US and anti-Israel students on campus - these are people with connections to the Muslim Brotherhood, a true terrorist organization. Terrorism expert Patrick Poole, however, told CBN News his investigation of the organization shows it's being used for another purpose. "The Muslim Students Association has been a virtual terror factory," said Poole. "Time after time after time again, we see these terrorists -- and not just fringe members: these are MSA leaders, MSA presidents, MSA national presidents -- who've been implicated, charged and convicted in terrorist plots." The roll call includes Anwar al-Awlaki, the al Qaeda cleric linked to terror plots from Fort Hood to Times Square and beyond. Awlaki, now a target for assasination by the U.S. government, was president of the MSA at Colorado State University in the mid-1990s. Then there is Ramy Zamzam. Before his conviction in Pakistan last year for attempting to join the Taliban and kill American troops, Zamzam was president of the MSA's Washington, D.C., council. Omar Hammami, a leader of the al-Shabaab terrorist group in Somalia, is another MSA alum. He was once president of the group's chapter at the University of South Alabama. Abdurahman Alamoudi, who was national president of the MSA during the 1980s, was al Qaeda's top fundraiser in America and is currently serving a 23-year prison sentence. These are only a few examples - but it must be remembered that you only need one jihadist to do a tremendous amount of damage. Al-Awlaki, was in contact with Nidal Hasan, the Fort Hood shooter who murdered 13 of his fellow soldiers in cold blood. It is certainly time to investigate the Muslim Student Association - I'm glad that the NYPD has taken up the charge. Who Cares about the Murder of Jewish Children? Could Thomas Friedman be Right?